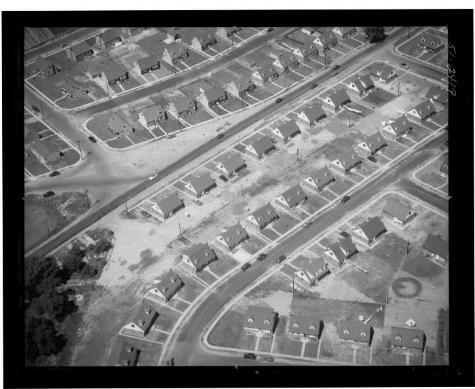 Aerial view of Birchwood Gardens, a housing development whose exact location is unknown, possibly located in Nassau County. Source: New York State Archives, Aerial photographic prints and negatives of New York State sites, 1941-1957, B1598-99. Box 3, no. 79.